(CBS/AP) LOS ANGELES - In a recording played at the involuntary manslaughter trial of Dr. Conrad Murray Wednesday, Michael Jackson is heard discussing his plans to build a hospital for children in a rambling, slurring conversation with the doctor charged in his death. The recording was significantly longer than the clip played for jurors in opening statements last week. 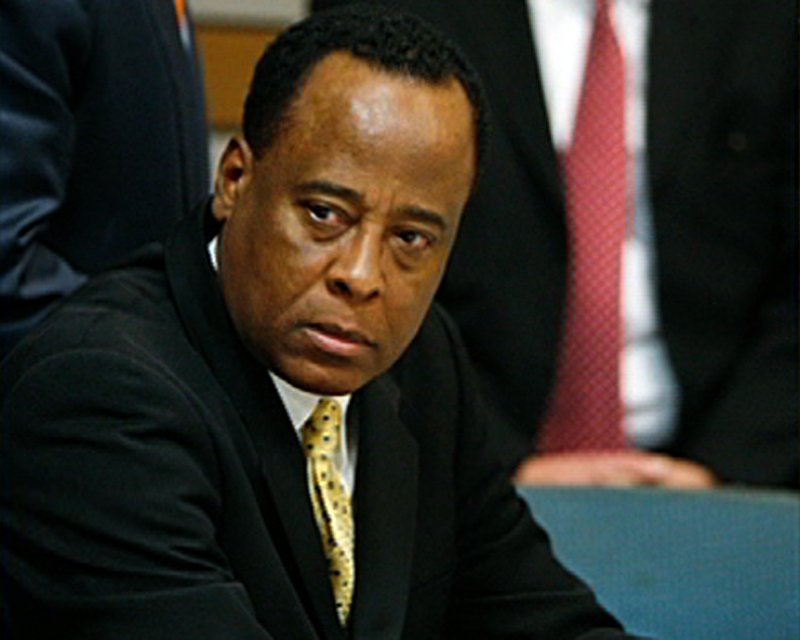 It ends ominously, with defendant Conrad Murray heard asking Jackson whether he was OK after the singer's voice trailed off. "I am asleep," Jackson is heard saying. Forensic computer investigator Stephen Marx told jurors hearing the case against Murray that the audio was recorded May 10, 2009. Jackson is heard telling Murray that he wants to build the hospital after his planned series of comeback concerts. The singer tells the doctor that he is attempting to accomplish something that Elvis Presley and The Beatles did not. "That will be remembered more than my performances," Jackson is heard saying. "My performance will be up there helping my children and always be my dream. I love them. I love them because I didn't have a childhood ... I feel their pain. I feel their hurt. I can deal with it." Earlier in the day, a forensic computer investigator said he found evidence that Murray was checking emails on his phone in the hours before the singer's death. Marx, an investigator with the Drug Enforcement Administration, testified that he found emails and attachments sent to Murray containing medical records filed under the Jackson alias "Omar Arnold." Prosecutors are trying to show that Murray was distracted and juggling multiple tasks when he should have been monitoring Jackson on June 25, 2009. Jurors heard Tuesday from several women who called and texted the Houston-based cardiologist that morning. Marx said he also retrieved a voicemail message from Jackson's former manager, Frank Dileo, five days before Jackson's death. Dileo said Jackson had an "episode" the previous night without elaborating. "I think you need to get a blood test on him," Dileo said. "We've got to see what he's doing."